Once again, we attended an extraordinary day with amazing champions. Every day we discover sparkling and spectacular judo. The rule changes that took place after the last Olympic Games are important. It took a little while to get used to them. It's logical. But we can really say that on the occasion of these World Championships, everyone took the dimension of what these rules implied and the athletes use them to produce a wonderful judo. I must tell you that I am happy to be here as an Referee Supervisor. I have known the joy of victory and the emotion that goes with it, but being there in the front row and being able to participate in the evolution of our sport is a real chance. 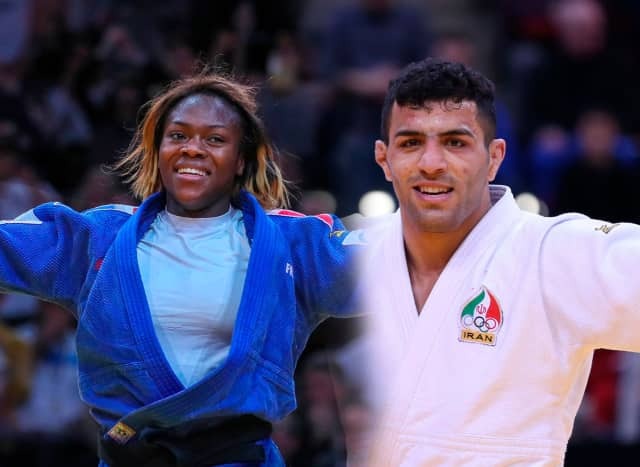 We are doing everything to make judo even more beautiful and spectacular and after four days of competitions, I want to say that we are getting there. If we look at the results, it is undeniable that the Japanese are really very strong, but today for example, two countries, France and Iran, have found effective solutions against the Japanese. The overall level of the competition has greatly improved. All the athletes who arrive in the final block have a very high technical level. It is also interesting to note that judo is spreading rapidly in all countries. A few years ago, Korean judoka began to develop a new form of shoulder movement, the reversed semi-nage. Today they are imitated by other nations. It's really interesting and I think it's good for judo. As I said, we saw great judo today, likewise during the previous three days. I was very excited to see that. I also noticed that at the time of these World Championships, the favorite technique is without hesitation uchi-mata, and we could see competitors who perform uchi-mata masterfully. I was a specialist in seoi-nage myself. Yet I take a lot of fun watching modern judo, sincerely. In the men's final, the Iranian Mollaei was really strong and he deserves his title. I had seen him a few weeks ago in Jakarta, Indonesia, during the Asian Games and he impressed me a lot. When he gets on the tatami, it feels like he wants to do judo, he wants to play. He is very powerful and agile. I would have not liked competing with him when I was a competitor. As for the French Clarisse Agbegnenou, what to say? She is above the crowd in every aspect of the competition. Beyond her ability to throw, her mental strength seems to play a key role in her approach to major events. She is in total confidence and these three world titles are the proof. One of her strengths is her management of kumikata. She is so precise when it comes to working at the end of the sleeve. In the final, it was obvious that the Japanese had studied her carefully and Tashiro climbed onto the tatami with the clear idea of ​​bothering Agbegnenou. But the latter was patient and applied her game plan. Tashiro was putting up a powerful and tense right arm to avoid the Frenchwoman to break the distance and come into contact. Agbegnenou waited, waited again, until she could approach once, only once. But it was more than enough as she scored. Such precision and preparation impresses me. I can not comment on today's competition without going back to what has happened in previous days and especially with the Abe siblings. You want me to tell you? I am a little jealous because their judo is a marvel. I wish we could have the Abe siblings in Korea too. We have to work to get 'Abe siblings' in Korea (laughs). We still have a nice day of judo in front of us. But I am looking forward to the team tournament because the two Koreas will be reunited. It's historic, it's grand. It's good for the sport and for the whole world. I dream to see them win. It would be so beautiful. It's a dream, but I can not help thinking about it. I hope it will change things even more. Jeon Ki-Young Jeon Ki-Young, born July 11, 1973 in Cheongju, Korea, is a retired judoka who competed in the -78 kg and -86 kg divisions. Jeon has won three consecutive world championships (1993, 1995, 1997).The crowning moment in Jeon's judo career came in winning the gold medal in the men's middleweight division at the 1996 Olympics in Atlanta, U.S. 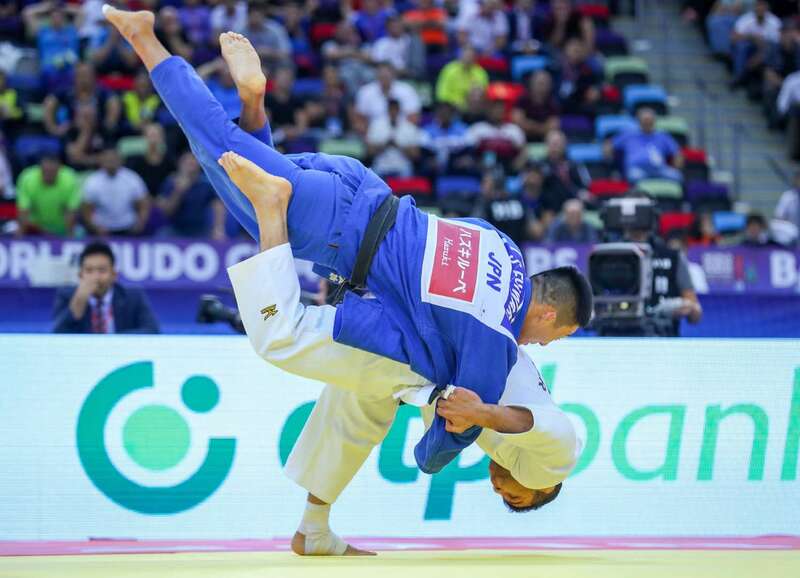 In his march to the gold, Jeon won every match by ippon, except the 1st round match against the Dutch judoka Mark Huizinga, who would go on to dominate the weight once Jeon himself retired. He was undefeated both at the World Championships and the Olympics. Today Jeon is an IJF expert.